Looking for Tyre Fitting, Wheel Balancing or a Mechanic in Crows Nest? Crows Nest Tyre Service is a family owned & operated business that has been providing new tyres & batteries for 50 years. Crows Nest Tyres provide a full fit, wheel balance, making your next tyre upgrade easy! 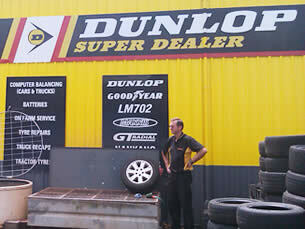 We are a Dunlop Super Dealer and carry the entire Dunlop range at great prices. We also have an extensive range of other tyre brands to choose from. We also sell industry leading Speedy Wheels and ROH Wheels to give your vehicle that custom look.